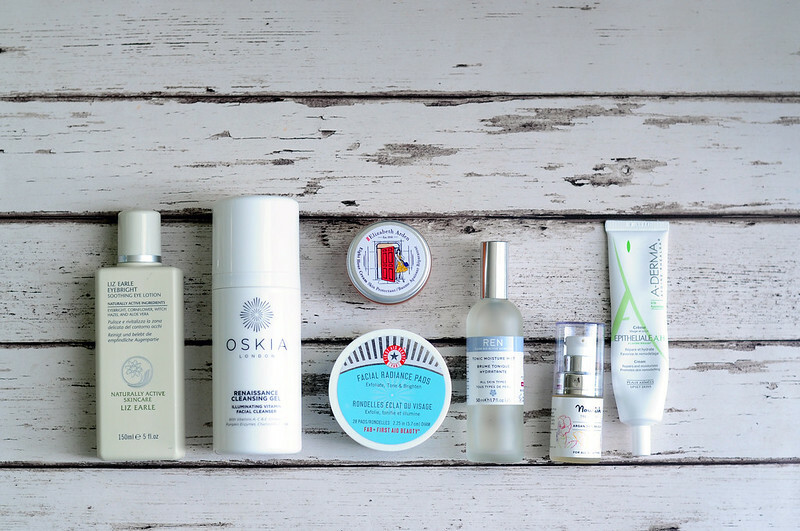 Liz Earle Eye Bright | Oskia Renaissance Cleansing Gel | First Aid Beauty Facial Radiance Pads | REN Tonic Moisture Mist | Nourish Argan Skin Rescue | A-Derma Epthielle A.H Cream | Elizabeth Arden Eight Hour Cream. Gonna try and find out more about that REN mist. Thanks for your post. I also try this product, these are obviously good.